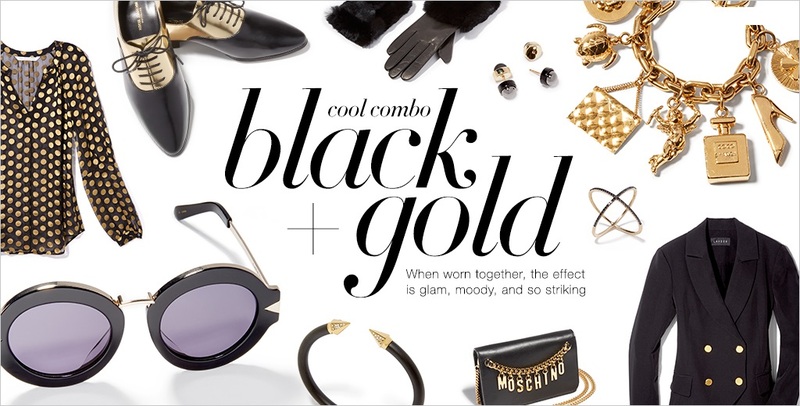 When it comes to color combos, my favorite is and always has been black and gold. It's classic and two colors that look so luxe next each other. I've rounded up some black and gold items from head-to-toe or accented with chic accessories noir and gold that will make a timeless style statement.